When you’re done relaxing at the recently revitalised Crusoe’s Retreat in Fiji, there are no shortage of ways to stay active and entertained, with a bounty of activities and amenities on offer. Water lovers will have endless opportunities to experience the endless beauty of the famous Fijian Coral Coast, both above and below the water. Kayak across the azure Fijian waters, do a bit of hand-line fishing, or simply stroll along the sun-warmed sand and take in the tranquillity of this little slice of paradise. The dive team at Coral Coast Diver’s can provide instruction in both snorkelling and scuba diving, and provide transport to some of the most breathtakingly beautiful dive spots in the area, with over 30 dive spots available, or simply take a boat trip to the mangroves. “The best time to snorkel, swim, dive or kayak is at high tide as the water is deeper - up to 2 to 2.5 metres deep - and you are more likely to get a good look at everything there is to see beneath the waves,” says Scott Lee at Crusoe’s Retreat in Fiji. Snorkellers can also get a good look at the extraordinary giant clams, a must-see for any guest at Crusoe’s Retreat. “The best way to see them is snorkelling, so even if you walk out, make sure you have a mask and snorkel with you,” says Scott. Night Activities are particularly popular at Crusoe’s Retreat in Fiji, with a range of after-dinner activities available for guest entertainment. 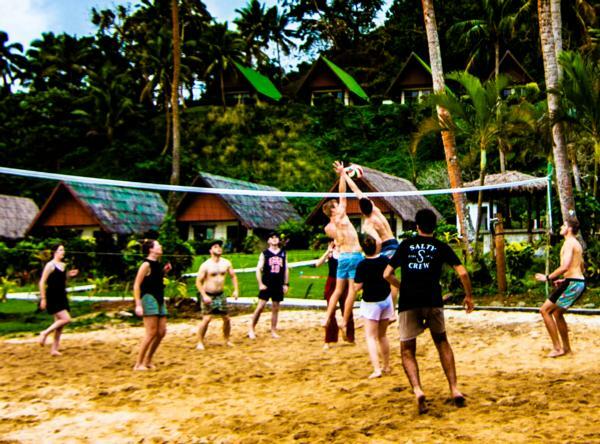 Hosted by the Crusoe’s Retreat activities team, each activity has a prize for the winners. Fijian Cultural Activities such as the world-famous Kava Ceremony and Fijian Meke Dance Performances happen on Lovo Night. Other activities include the Crusoe’s Trivia Quizzes, International Hermit Crab Races, Indoor Fishing and more. A wealth of complimentary activities are also on offer at Crusoe’s Retreat. Challenge the locals to a game of beach volleyball or soccer, learn Fijian cooking, language and crafts, or tour the nearby Namaquamqua village to see a true slice of Fijian culture and customs. Guided nature walks are available for nature lovers, and food lovers won’t want to miss the Lovo Buffet Night, with the cooking done Fijian-style in an underground oven. Finally, the many recent improvements and additions to Crusoe’s Retreat will make your Fijian experience truly unforgettable. Enjoy a private romantic dinner and cocktails for two by the sea at the Taki Beach Bar and Grill, or relax and unwind with a cocktail in the new 22-seater spa pool. To see Crusoe’s Retreat’s new website for information, testimonials, and booking, click here!